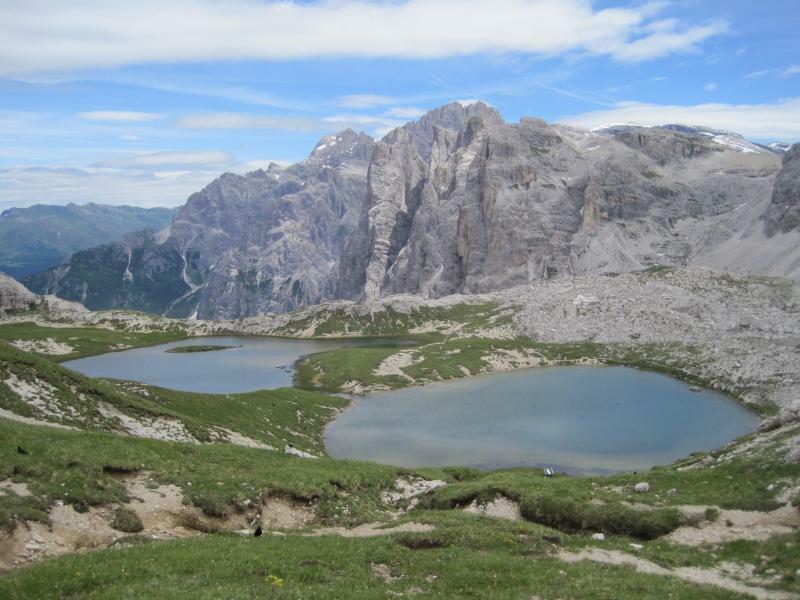 Experiencing nature – idyllic mountain lakes, lush mountain pastures, green forests and the legendary Dolomites will guide you through three Nature Parks during your hike. 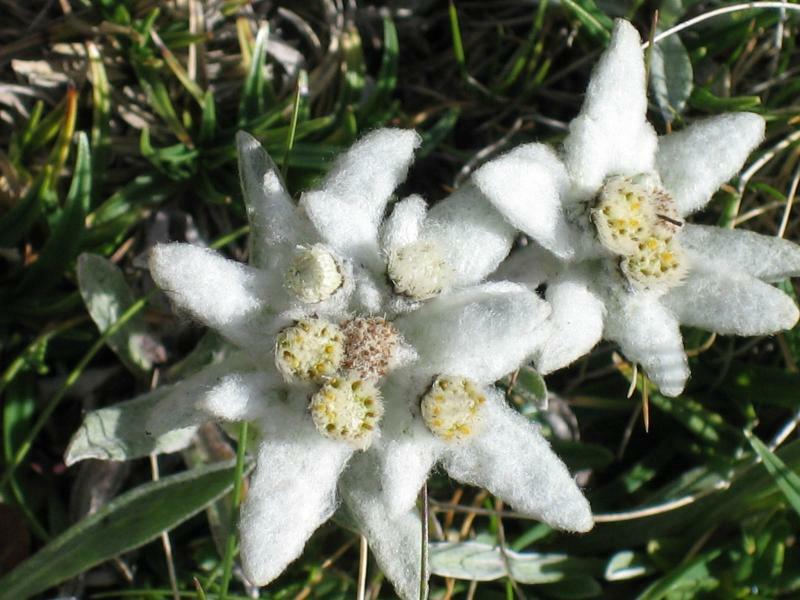 Not without a reason, were the Dolomites declared a Natural World Heritage Site. As a preamble to the hike, you are greeted by Lake Prags “Pragser Wildsee”, in whose crystal clear waters the whitewashed walls of the Seekofels Mountain, are mirrored. All those who believe that nothing more can top this experience, be well advised that high above Cortina, the pearl of the Dolomites you can view and glance over some of the most striking summits. The Cristallo Group of Mountain peaks; the Pinnacle on Mount Tofane and the summits around the Fanes Mountains, all wrestle for the attention of the observer. 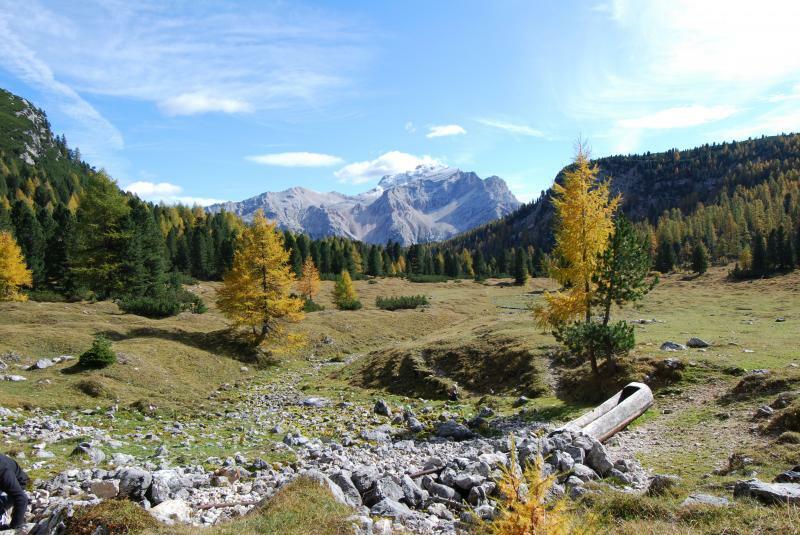 Naturally, an excursion to the “Drei Zinnen” cannot be left out, the encompassing hike around the celebrated trident promises fascinating impressions of the Sesto ranges of the Dolomites. Finally, we will introduce you to the splendours of Sesto, the valley of the mountain climbers and mountain guides. Leisurely walkers have the possibility to choose another option for the first stage, at which they are taken to the guesthouse Tuscherhof and start their walk from there. Following the river Stolla they pass the guesthouse Brückele, the homonymous hut Stolla and rock paintings (cases of erosion, which are produced by the constant influence of water and the different composition of the rock) to get to the Plätzwiese. Starting point of today’s stage is the alpine pasture “Plätzwiese”, which together with the mountains “Hohe Gaisl” and “Kreuzkofelgruppe” counts as the most treasured and revered hiking areas in the country; the charismatic magnetism of the unusual flora and natural lakes, have an enthralling charm on the discerning visitor. The bizarre and fascinating fables according to legends of the ancient tribes of Fanes Empire are relevant here. In the Nature Park “Fanes Sennes Prags”, the largest nature park in the Dolomites, you can make your choice between two options. Starting at the “Plätzwiese” depending on the variant you reach either the “Strudelkopf” (short variant) or the “Dürrenstein” (longer variant). Both options offer you a spectacular view on the “Hohe Gaisl”, the “Three Peaks”, the “Tofana” and the “Monte Cristallo”. You hike through the high plateau of the Plätzwiese and descend through the Knappenfußtal to Cimabanche – the frontier between South Tyrol and Belluno. Here are two possibilities to continue: either the direct way using the public transport to Cortina d’Ampezzo or the longer variant to the hut Ra Stua and under the Col Rosa to Cortina d’Ampezzo. Your today’s destination, the former Olympic city, impresses with its unique location in the middle of famous Dolomite peaks. The panorama of the starting point of this stage is quite simple and stunning. The giant rocks of the Ampezzo Dolomites reach into heaven; the Monte Cristallo and the Cristallogruppe, the Tofana and the Fanesgruppe are the leading actors of this spectacle. There are two options for the day: the longer one leads you towards Forcella Faloria and the shorter one is following the new Dolomieu Panoramic Trail. Both of them are heading towards Passo Tre Croci. The descent to Cortina is equal for both routes. A transfer will take you from Cortina to the Drei Zinnen Viewpoint. From here you will hike through the Rienztal to the world famous Drei Zinnen (Three Peaks). The mountains are probably the most known rock formations in the Dolomites. They were an important war scenery during World War I between Italy and Austria-Hungary. An easy hike takes you further on to Rifugio Auronzo hut and by bus (ticket not included) you go back to your hotel in Dobbiaco/Villabassa. For those, who prefer to take it easy that day, there is the possibility to take a direct bus to Rifugio Auronzo hut (ticket approx. Euro 7.50- ticket not included). From there you can make the round tour of the Drei Zinnen (Three Peaks) and take the bus back to your hotel in Dobbiaco/Villabassa. 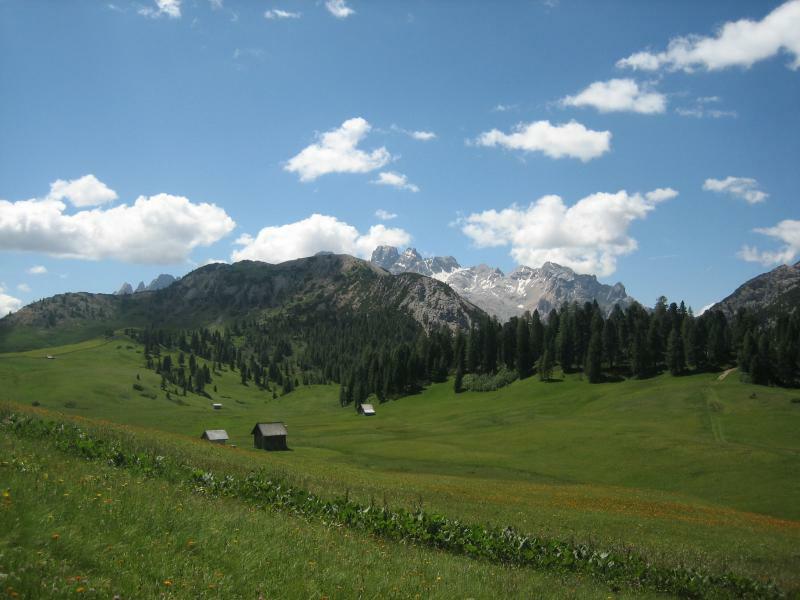 The last stage of your hiking holiday takes you to one of the most beautiful side valleys of the Pustertal, to Sesto. Before that, you arrive to Versciaco, where the cable car takes you to the mountain Helm. From here you can enjoy a beautiful view to the Sextner Dolomiten. The huts Hahnspiel, Sillian and Alpe Nemes are further stops before you hike to the Kreuzbergpass. You will get back to Villabassa/Dobbiaco by bus/train and enjoy you last night of your tour in the Dolomites. How to get there: You can fly to Venice or Treviso, then by public bus with Cortina Express to Toblach/Dobbiaco. You can check the bus schedule here: www.cortinaexpress.it. A private transfer can be arranged upon request. Schedule for the line 29 bus from Marco Polo Airport (Venice) to Cortina - daily departures at 8:05 (arrival to Cortina at 10:35) and 11:20 (arrival to Cortina at 13:25). Schedule for the Cortina Express bus from Marco Polo Airport (Venice) to Cortina - daily departures at 14:15 (arrival to Cortina at 16:20) and 17:15 (arrival to Cortina at 19:20). 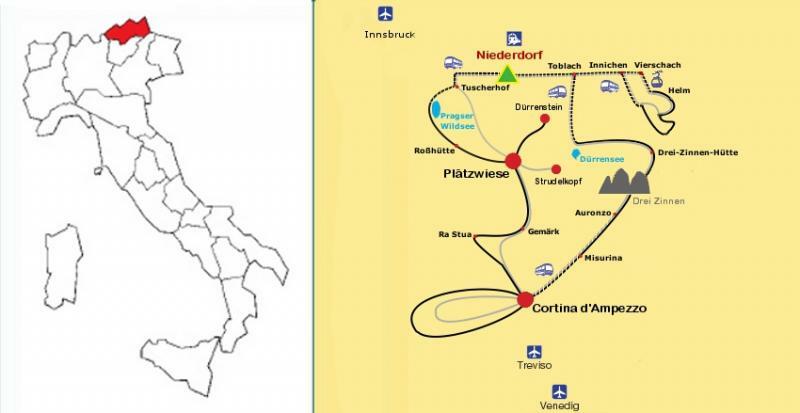 Schedule for the Cortina Express bus from Cortina to Toblach/Dobbiaco - hourly departures every day from 9:05 to 19:05, trip to Dobbiaco Railway station takes approximately 40 minutes. Necessary equipment: sturdy walking boots and walking socks, a small rucksack, a water bottle with at least 1 litre capacity, sunglasses, sunhat, sun cream, rainwear, insect repellent.